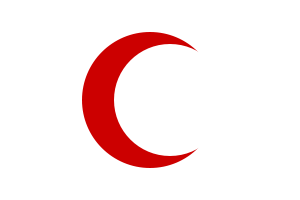 The Syrian Arab Red Crescent (SARC) – a microcosm of Syria? 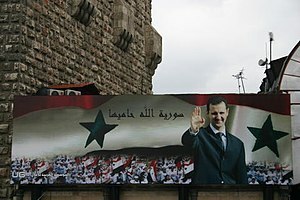 In war scum rises to the top, and in Syria, as my friends inside the country tell me regularly, there is a lot of scum. The crunch came when he was handed some paperwork and told to sign it off by his boss. He read it first, something that was evidently not part of his job description. With rising horror he saw that by signing it, he would be giving his consent to blood and medical supplies being sold to an unnamed third party. He refused to sign and quit the job. He had been in it less than two weeks. His boss tried to persuade him to stay. ‘You cannot leave,’ he said, ‘you are the only one here who knows anything about project management. We need you.’ He left anyway and is still unemployed today, wondering how he will support his young family. 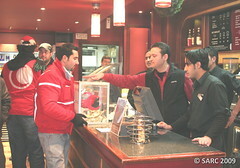 The Damascus branch of SARC is run by a businessman with close ties to President Bashar Al-Assad. It is controlled by the regime, as are all official charities inside Syria, and hence an extension of the Assad clan’s vast business empire. The aid it does distribute is channeled overwhelmingly to regime-dominated areas. That said, there are within parts of SARC many highly committed individuals doing their best to help their country, regularly putting themselves at risk, working within opposition-held areas. Many young SARC volunteers try to remain staunchly neutral, concentrating only on helping their fellow Syrians, whoever they may be. 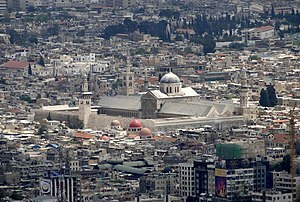 SARC is perhaps a symbolic microcosm of Syria – it has neutral elements that refuse to take sides – decent people who just want to get on with their lives and jobs and to work towards peace. They probably constitute the vast majority. Then it has people who actively help the opposition-held regions, thereby putting themselves and their families at risk – most have been detained at some point by the regime. And then it has evil corrupt elements which see Syria’s chaos as an opportunity to enrich themselves – and they, tragically, continue to hold the reins of power, both within SARC and within Syria. The scum is sitting comfortably on top of the cleaner water. It will stay there till someone either scoops it off, giving the cleaner elements below a chance, or until someone pulls the plug, at which point all elements, good and bad, will be lost down the drain.